5 16x8 Ultra Rouge Wheels! 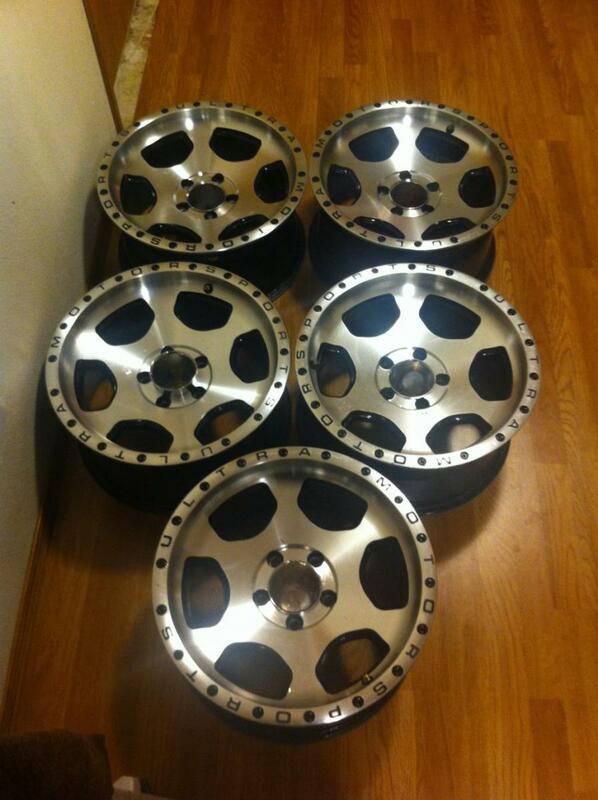 Have for sale a set of Five Ultra brand Rouge Wheels. the size is 16x8 bolt pattern is 5x4.5 / 5x114.3mm. Wheels are in great condition and show little to know signs of use. (see pictures) all 5 center caps are included. 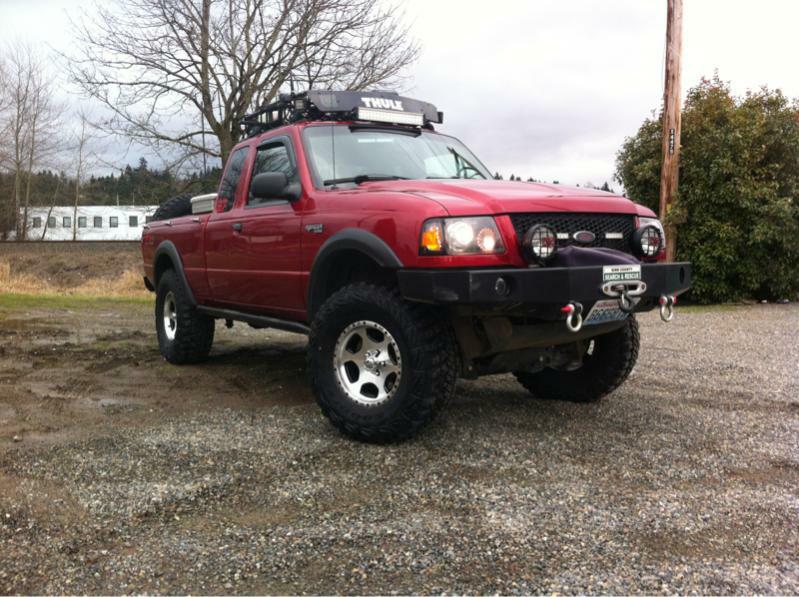 these are great for your Jeep, ford ranger, Explorer, ect. wheels have been used so the do show some small scuffs and nicks, the spare has a small curb mark on it as well but nothing that effects how the wheels preform or look. asking $425 call txt or email, local pick up preferred but will ship at buyers expense. Bump new rf price $375 want these gone! had these wheels before too, great wheels! And an awesome deal right here. glws! Haven't gotten a chance to get an exact quote but should be between 100-150. I will send you a pm with a better estimate shortly. Are the stock wheels 16x8's? 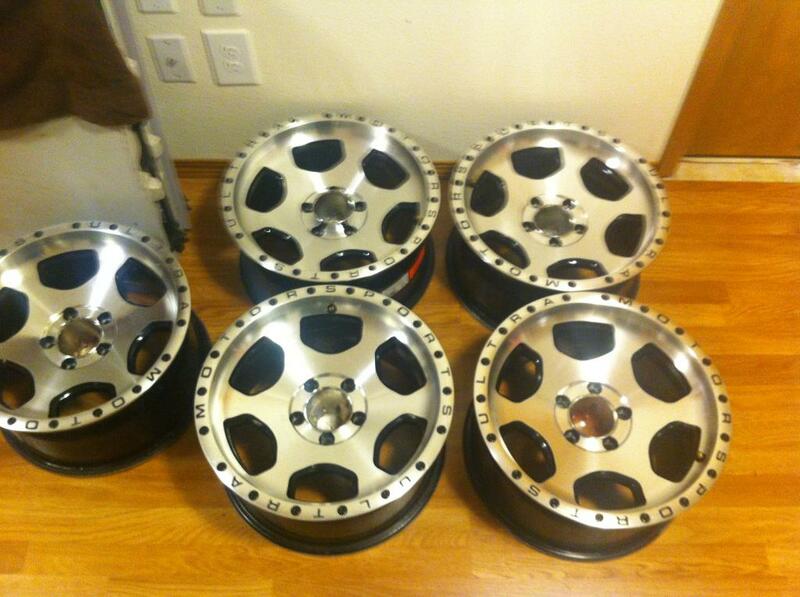 Quick Reply: For Sale: 5 16x8 Ultra Rouge Wheels!